Friday night, I was able to have my first listen through of the PIRATES OF THE CARIBBEAN: ON STRANGER TIDES original score by Hans Zimmer and Rodrigo y Gabriela. I live-tweeted my experience as I listened through the entire release. My final review of the score will certainly contain much more detail, but, before you check out those tweets below, I'll quickly give you my initial impressions of Disney Records 18-track release. First, Zimmer's portion of score feels slightly subdued in comparison to the previous scores of the franchise, but admittedly, I am already starting to love his theme for Blackbeard with each successive listen. Second, Rodrigo y Gabriela's contributions unsurprisingly bring some unique personality to the score...and their treatment of some of the famous "pirates" motifs is, at times, clever. Third, as you likely know, there is a healthy dose of remixology to close out this release (as in 7 tracks-worth). Rather than fall into some aggressive state of "rantism" here and now, I think you can pick up my vibe regarding these remixes via my tweets. My opinion is still evolving with successive listens and, of course, I have not yet experienced the score within the film itself, so there remains much room for my opinion of the score to rise or fall; nevertheless here are my gut-reaction-tweets. And below my tweets you'll find the official press release from Disney regarding the soundtrack release. If you want to get such music-tweet-goodness all the time, just follow us on Twitter @tracksounds. 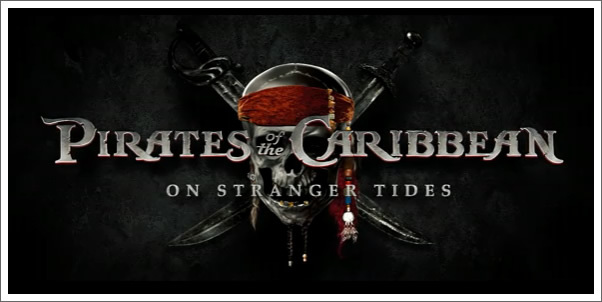 (April 26, 2011 -- Burbank, CA) - Walt Disney Records will release the original motion picture soundtrack for Walt Disney Pictures and Jerry Bruckheimer Films’ Pirates of the Caribbean: On Stranger Tides on May 17, 2011. Oscar® winner Hans Zimmer (“Inception,” “The Lion King”), composer for the three previous “Pirates of the Caribbean” films, once again captains the musical ship, in collaboration with acclaimed guitar duo Rodrigo y Gabriela, and featured performances by legendary trumpet-player Arturo Sandoval. The soundtrack album also showcases songs re-mixed by top DJs (including Adam Freeland, Photek, and Static Revenger). Hans Zimmer is one of the film industry’s most respected and sought-after composers with a career that encompasses more than 100 film and television scores. An Academy Award® winner for his score for “The Lion King,” Zimmer has also received eight additional Oscar® nominations for his work including “Inception,” “Sherlock Holmes,” “Gladiator,” “The Thin Red Line,” “Rain Man,” “As Good as It Gets,” “The Preacher’s Wife,” and “The Prince of Egypt.” Other recent credits include “Rango,” “The Dark Knight” and “Batman Begins.” Among his many honors, Zimmer has also won two Golden Globes® and four Grammy Awards®. Rodrigo y Gabriela are considered the premier guitar-playing duo in the world. They have sold over one million albums, have sold out arenas and headlined festivals worldwide, and in 2010 they were invited to share the stage with Beyoncé for a state dinner at the White House. The collaboration with Hans Zimmer is their first film score—an exciting and defining moment in their career. Their willingness to explore musical expression and to embrace new sounds irrespective of fashion or trends, as well as their point blank refusal to be pigeonholed as any particular genre, is the very foundation of Rodrigo y Gabriela. For a key scene in the film, featuring a highly choreographed Tango between Johnny Depp and Penélope Cruz, Hans Zimmer collaborated not only with Rodrigo y Gabriela but also Eduardo Cruz —Penélope’s brother, an up-and-coming composer/songwriter. Also imparting a Latin flavor to the music is legendary jazz great Arturo Sandoval. The Cuban born, four-time Grammy® Award–winner is the featured trumpet player for the score. Produced by Jerry Bruckheimer and directed by Rob Marshall, “Pirates of the Caribbean: On Stranger Tides” captures the fun, excitement and humor that ignited the hit franchise—this time in Disney Digital 3D™. Johnny Depp returns to his iconic role of Captain Jack Sparrow in this action-packed adventure that finds him crossing paths (and swords) with the enigmatic Angelica (Penélope Cruz). When she forces him aboard the “Queen Anne’s Revenge,” the ship of the legendary pirate Blackbeard (Ian McShane), Jack finds himself on an unexpected journey to the fabled Fountain of Youth. Along the way Jack must use all his wiles to deal with the barbarous Blackbeard and his crew of zombies, Angelica, the ravishing pirate with whom he shares a dubious past, and the beautiful, enchanting mermaids whose masterful cunning can lure even the most seasoned sailor to his doom. The international cast includes franchise vets Geoffrey Rush as the indestructible Captain Hector Barbossa and Kevin R. McNally as Captain Jack’s longtime comrade Joshamee Gibbs, plus Sam Claflin as a stalwart missionary and Astrid Bergès-Frisbey as a mysterious mermaid. Walt Disney Pictures’ and Jerry Bruckheimer Films’ “Pirates of the Caribbean: On Stranger Tides” opens in theaters May 20, 2011, in Disney Digital 3D™, with screen story and screenplay by Ted Elliott & Terry Rossio, based on characters created by Ted Elliott & Terry Rossio and Stuart Beattie and Jay Wolpert, and suggested by the novel by Tim Powers. Pirates of the Caribbean: On Stranger Tides original motion picture soundtrack will be available wherever music is sold on May 17, 2011. For more information on Walt Disney Records’ releases, please visit Disney.com/music, become a fan at Facebook.com/disneymusic or follow us at Twitter.com/disneymusic. Thank you for posting your comment! As soon as we verify that it is suitable for publishing, it will be published.